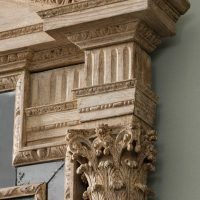 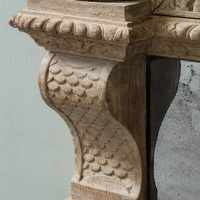 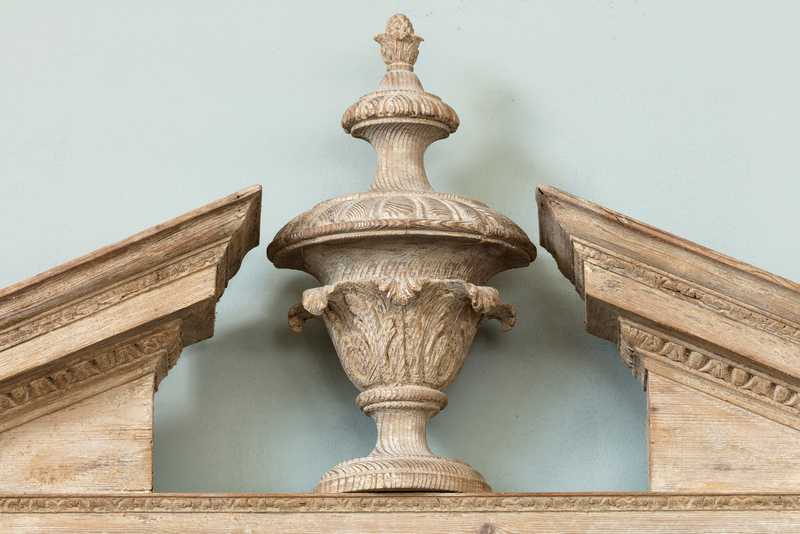 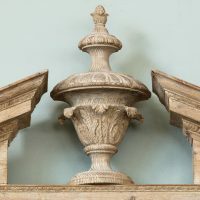 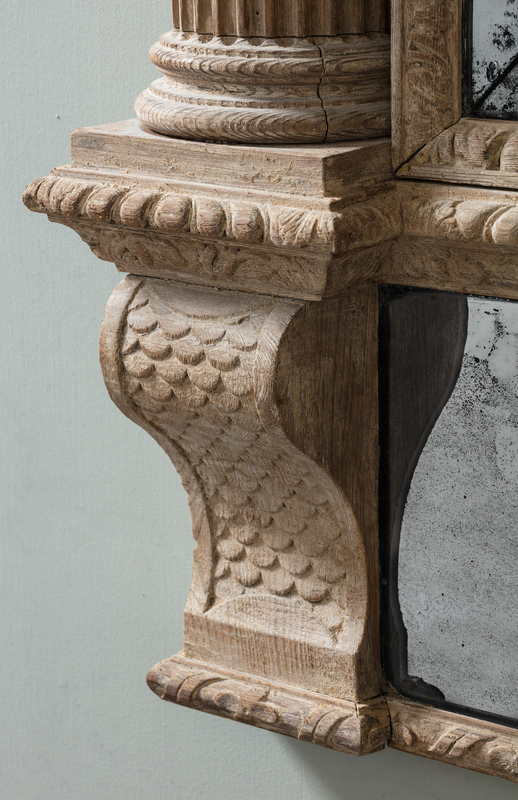 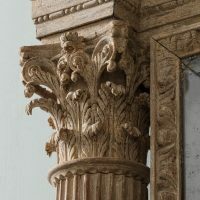 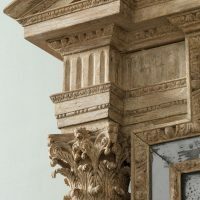 Surmounted by a triangular broken arch pediment centred by an urn above a dentil cornice and fluted frieze, the marginal plates within two bold tapering fluted columns with Corinthian capitals, the lower frieze with central leaf clasp, flanked by inbicrated corbels – Irish c.1775. 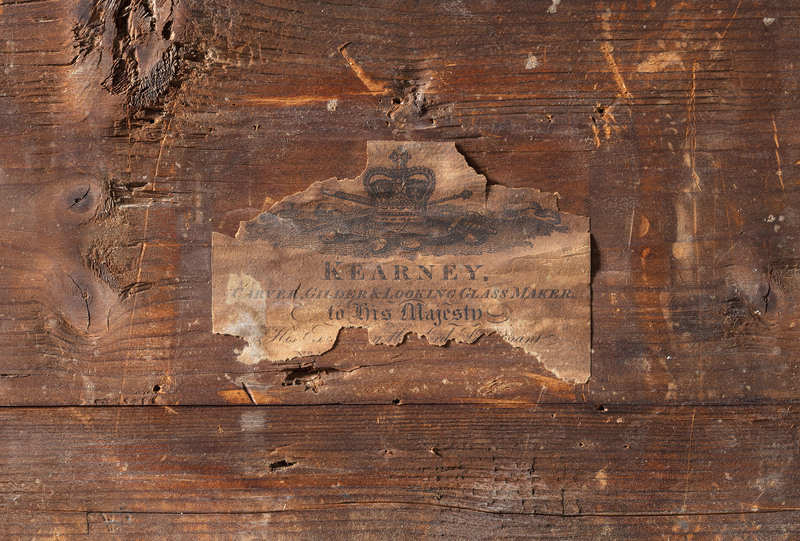 The reverse of the mirror bears a label for ‘H Kearney’, carver, gilder and looking glass maker to his majesty. 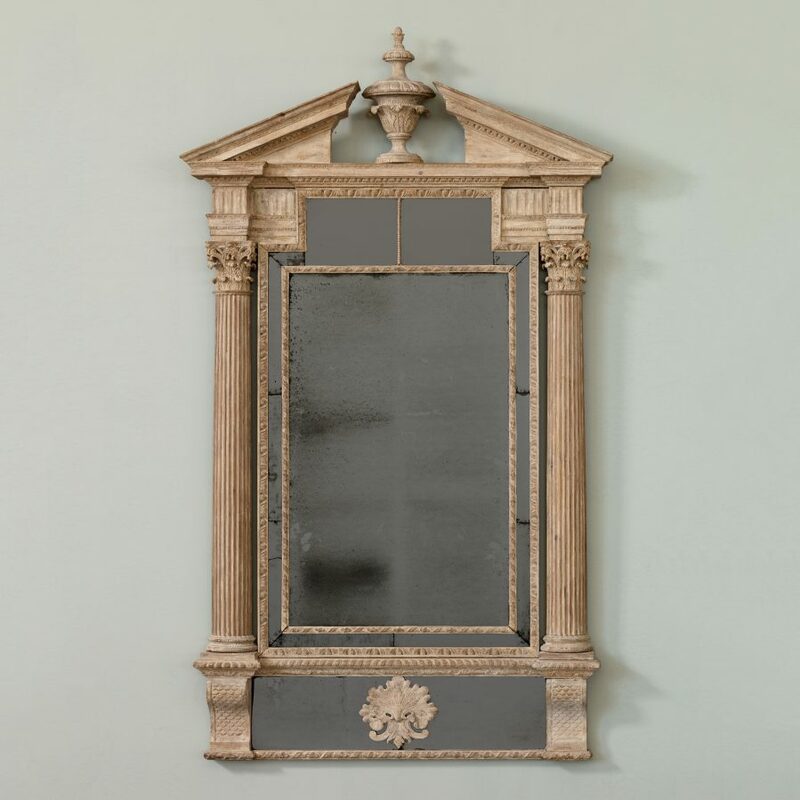 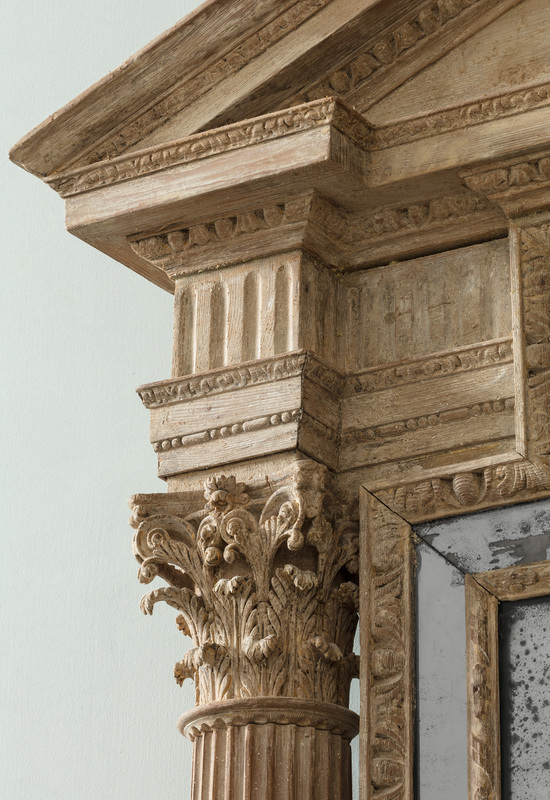 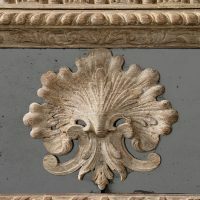 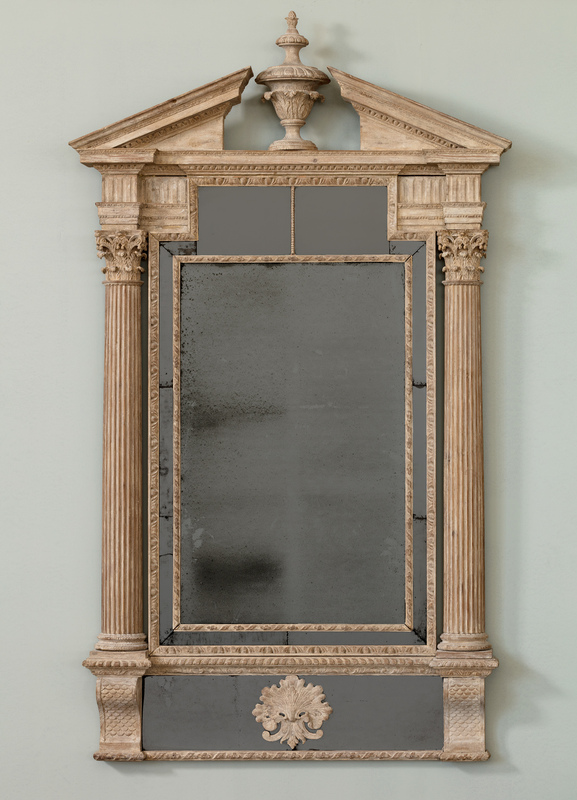 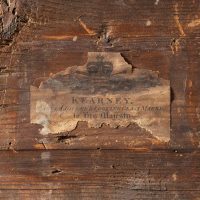 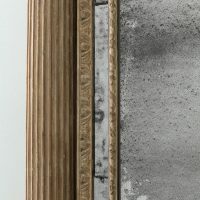 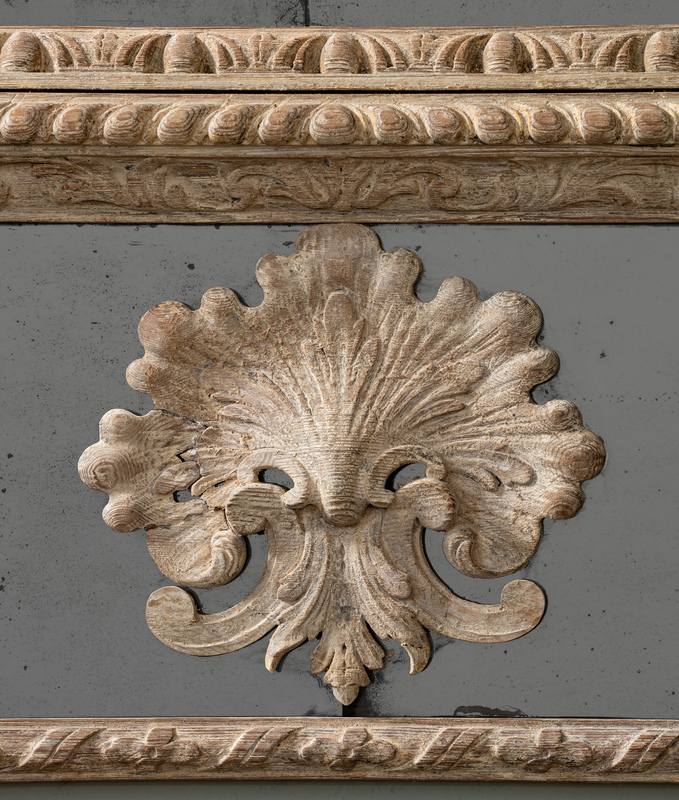 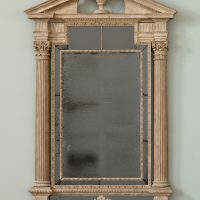 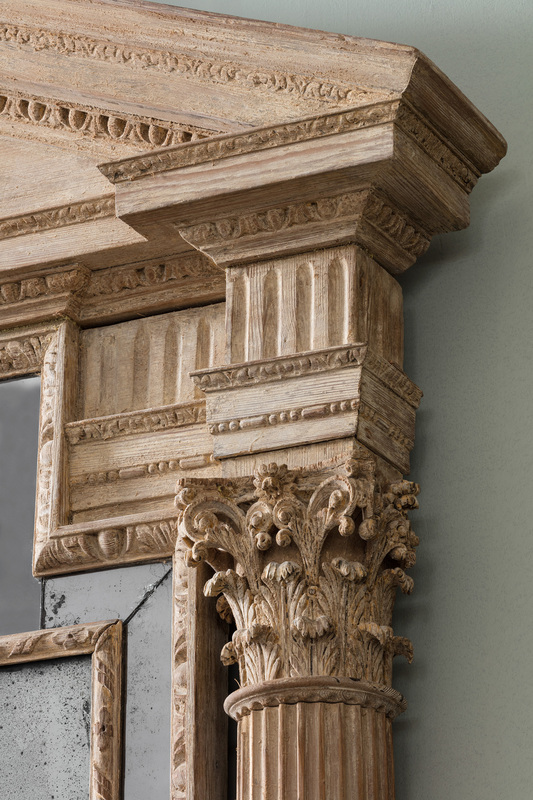 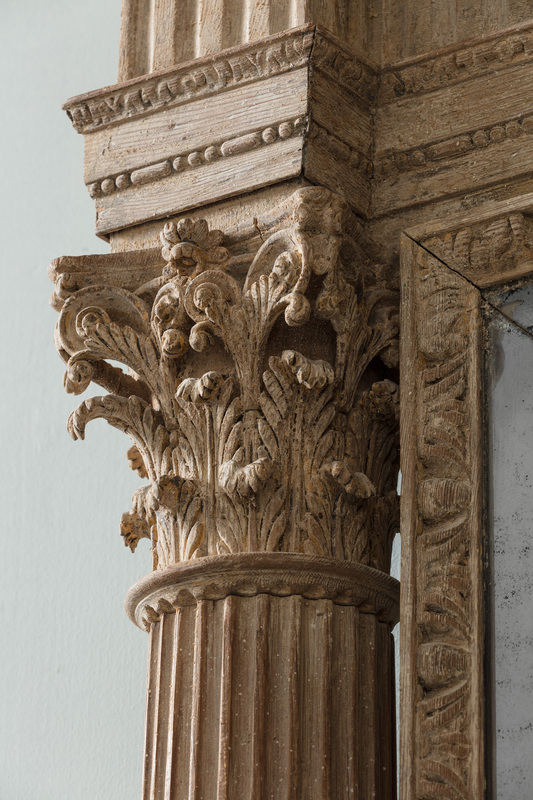 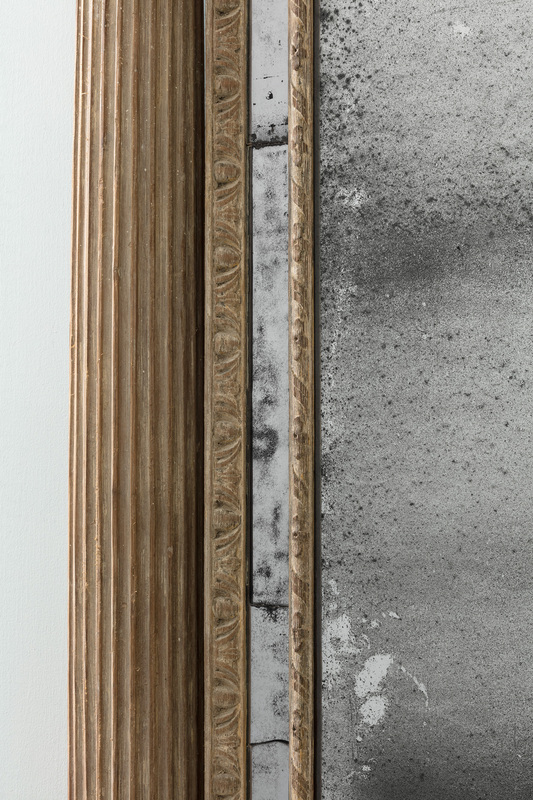 The design of this mirror is identical to known autograph Booker mirrors, and one can assume Kearny was operating in this instance as a retailer.